Prague is not only an excellent destination for couples, the city is also extremely family-friendly. You will have no problem to entertain the children with museums their parents also like. One of the highlights for young children is the mirror maze. It is fun to see how they take passages for real ones and bump into mirrors time and time again. Tucked away in a narrow alley in the Old Town District, the Prague Fashion Museum and Vintage Shop will be the favorite stop for mothers and teenage daughter. 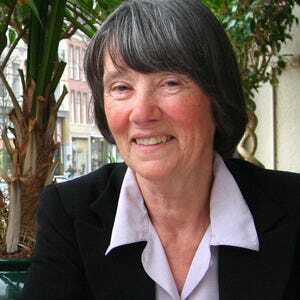 Not only will they find here the history of seventy years of fashion from 1920 to 1980, they will also be able to buy vintage dresses, skirts and blouses. The price makes them smile. fathers and sons will enthuse about the model trains in the Railway Kingdom. The clanging of level crossings and the hooting of locomotives, is music to their ears and exactly as in real life. Almost all children and their parents alike will be enchanted by the sea creatures in Sea World. Observe the sand shark, the largest and most feared shark in the world. While the fathers take their sons to the LEGO Museum, mothers and daughters will certainly enjoy Dolls Land Gallery with a collection of over 3000 Barbie dolls. Dox, Centre for Contemporary Art, Architecture and Design, is one of the most important private contemporary art museums in central Europe. The museum is housed in a converted metal-plant in the Holesovice neighborhood, a former industrial quarter of Prague. 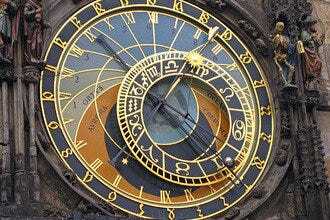 With temporal exhibition, you never know beforehand what will be on display when you are in Prague. One thing is sure; the exhibitions are always eye catching and sometime provocative. This is an excellent 'first time museum' for kids. They will see no boring romantic pictures or ancient statues instead modern art of all kind. Often so modern that the parents feel slightly uncomfortable and will say: I could have done this. The thing is they were not creative enough. It is the creative genius of a modern artist who had the idea. If planes, trains and automobiles are your passion, be sure to include a visit to the Technical Museum in Prague. This three-storey museum in functionalist architectural style consists of huge halls filled with antique and vintage vehicles, modern architecture, photography and printing and bicycles. The star attraction of the museum are the cars. You will find a 1893 Benz Viktoria and many Skodas, among them the Skoda 130RS, the communist era sports car. Almost everyone wanted to possess one but only very few did. Have a look at the sturdy Mercedes Benz 540k, the favorite car of many Gestapo leaders. Prague Fashion Museum and Vintage Shop is located in a cellar shop in Prague's Stare Mesto district. The museum shows seven decades of fashion, from 1920s to 1980, from evening dresses, leisure wear and beach wear to sunglasses, gloves and pill box hats. Here you will not only find a tiny museum; this cellar museum is also a vintage fashion shop. Vintage means that all garments are between 25 and 80 years old. Any clothes that are older are antique and any that are younger are retro. All pieces of clothing that are sold here are authentic and in perfect condition. Situated in the residential district of Dejvice, The Public Transport Museum is located in the Stresovice tram depot. The collection consists of forty historical trams and buses that once trundled the streets of Prague. Apart from authentic vehicles, you will also find scale models, old photos, historical documents and tram and bus tickets. Children and adults alike are allowed to climb on board of the trams and buses, sit on the wooden benches of very old trams or upholstered ones of the more modern vehicles. The museum is away from the center. The best way to get there is by nostalgic tram #91. No need to be a model railway enthusiast, everyone who watches the trains cruising the Railway Kingdom will be enchanted. Trains run to a regular schedule and include day and night shifts. An integral part of the Railroad Kingdom is the permanent exhibition about the history of railways in the Czech Republic. The trains runs through landscaped backgrounds in huge glass display cases. Small children can walk along a ridge so that their parents need not lift them all the time for a good view. Building the Railway Kingdom started in 2009 and has now almost been completed. The Railway Kingdom represents a model of the railroads in the Czech Republic. Model train climb up to Karlstejn, they stop at Prague Central station before going to Karlovy Vary. 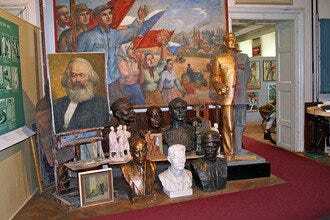 The Museum of Communism was founded by Glenn Spicker, an American businessman who scoured junk shops and flea markets to gather Communist-era artifacts. 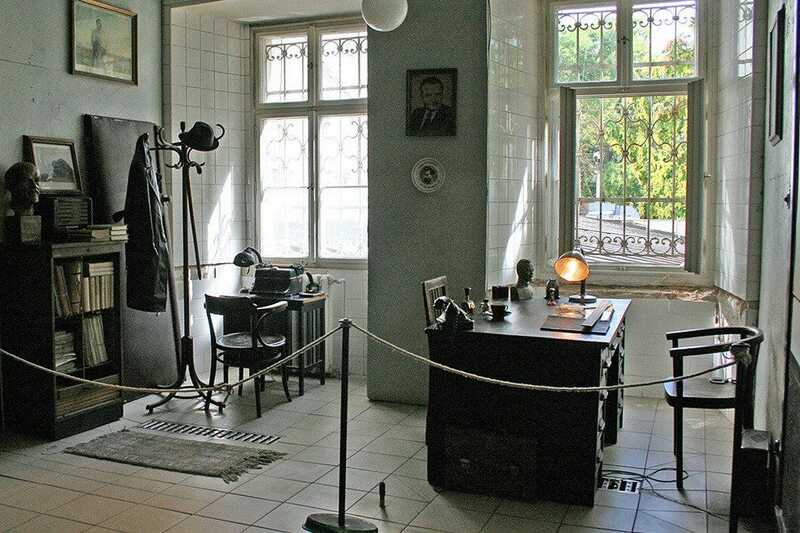 The museum offers visitors a glimpse of the past demonstrating how suppression, fear and double-speak were parts of everyday life from the Communist coup in February 1948 until its collapse in November 1989. The museum is divided into three rooms: the Communist dream, the reality and the nightmare. Snippets of daily life are eerily realistic; a classroom and a blackboard with letters in Russian, an almost empty grocery shop, and an interrogation room. One very interesting exhibit is an old photo of the Stalin monument that used to be on the plinth in Letna Park. The original monument depicted Jozef Stalin leading the way and followed by the proletariat. This was the largest group statue in Europe; 15.5 m tall and 22 m wide. When Nikita Khrushchev accused Stalin of homicide, Moscow decided that the monument had to disappear. In 1962, it was blown up with 800 kilo of explosives. Every Tuesday at 3 pm it is shark feeding time! See how they swallow small fish and how they love it. They swim along graciously in a giant tank that holds 100,000 liters of water together with other fish. This underwater world makes a good family outing. The tanks are decorated with corals and plants that wave in the current. The sand shark is the most feared shark in the world and grows to a length of 3.5 meters but looks not so very fierce when you see him behind glass. There are steps for small children so that they can see fish in the tanks. There are also some aquariums on a lower level, excellent for young children. Right opposite My Department store on Narodni street is a small shop devoted entirely to LEGO and Muzeum Lega, 2000 models on three floors. The Entrance to the LEGO museum is via the shop. Along the walls and in the middle of the exposition rooms you will find glass cases brimming with LEGO models, from police stations to zoos and from Star Wars to the Taj Mahal. Every model comes with a little card that tells when it came on to the markets and how many LEGO bricks were used to make it. To make life easier for the fathers and mothers, the number of the box is given so that they can buy it without any fuss in the shop downstairs. Are you in Prague and are you with your daughter? Are you a Barbie doll collector or do you just like looking at Barbie or Ken, be sure to visit Dolls Land Gallery close to Mustek Metro Station right in the center of Prague. 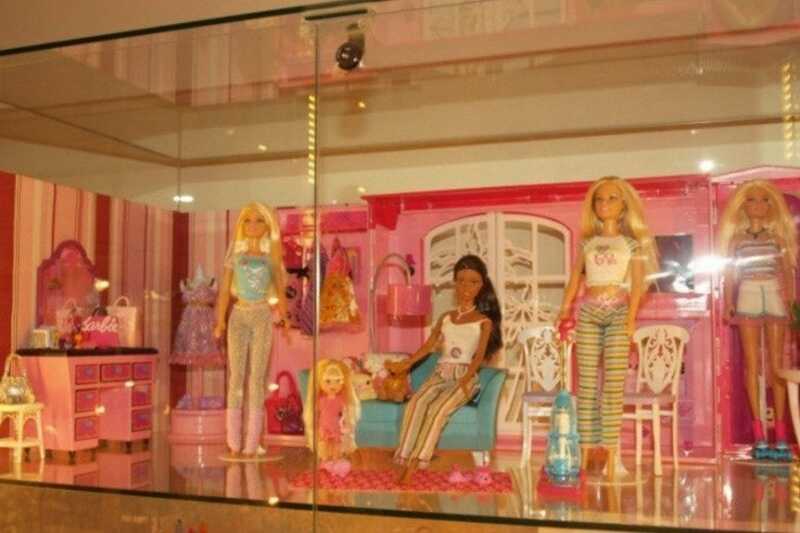 Divided over two rooms in and in 45 display cases you will find more than 1000 Barbie dolls and 3000 accessories: bags, shoes, jewelry, evening dresses, sport outfits and lots more. Have you still got your old Barbie dolls? Have a close look if you have Empress Josephine is among them, If so she is worth $800, because she was made in a limited edition of only 4500 items. If it is Haute Couture that fascinates you, you will oh and ah at Barbie dressed in creations of Christian Dior, Versace, Givenchy en Giorgio Armani. Are motorbikes your passion? Barbie and Ken on a Harley Davidson will enchant you.